That includes getting all our energy needs from “clean, renewable, and zero-emission energy sources” by “dramatically expanding and upgrading existing renewable power sources.” The call to “promote justice and equity” among those groups is seen as one of the “Green New Deal’s” primary goals by its architects. The House resolution has more than 20 cosponsors, according to a fact-sheet also obtained by NPR. “[I]n 10 years, we’re trying to go carbon-neutral,” Ocasio-Cortez told NPR Thursday on why the “Green New Deal” called for aggressively reducing emissions. 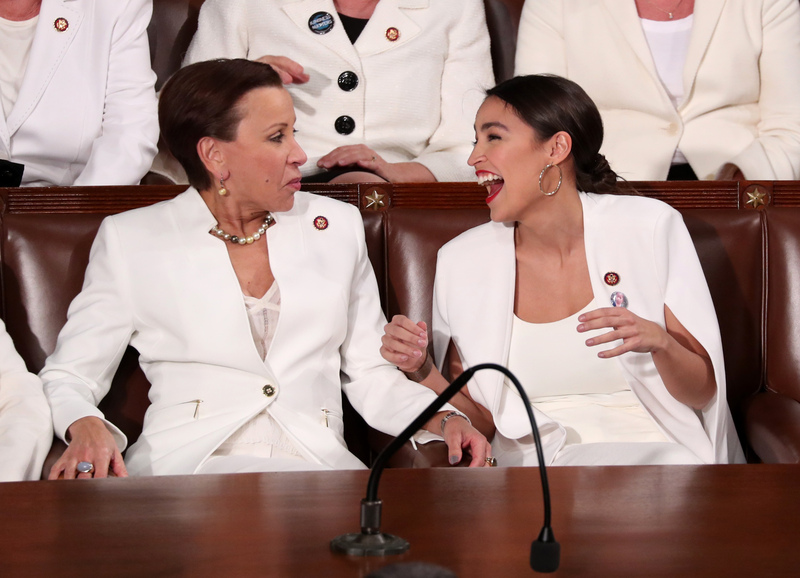 Rep. Nydia Velazquez (D-NY) (L) talks with Rep. Alexandria Ocasio-Cortez (D-NY) as U.S. President Donald Trump delivers his second State of the Union address to a joint session of Congress at the U.S. Capitol in Washington, U.S. February 5, 2019. REUTERS/Jonathan Ernst. However, the resolution, and any legislation stemming from it, has zero chance of passing out of Congress or being signed into law by President Donald Trump. Conservative groups, and even some Democrats, see the “Green New Deal” as a grab bag of unrealistic socialist dreams. 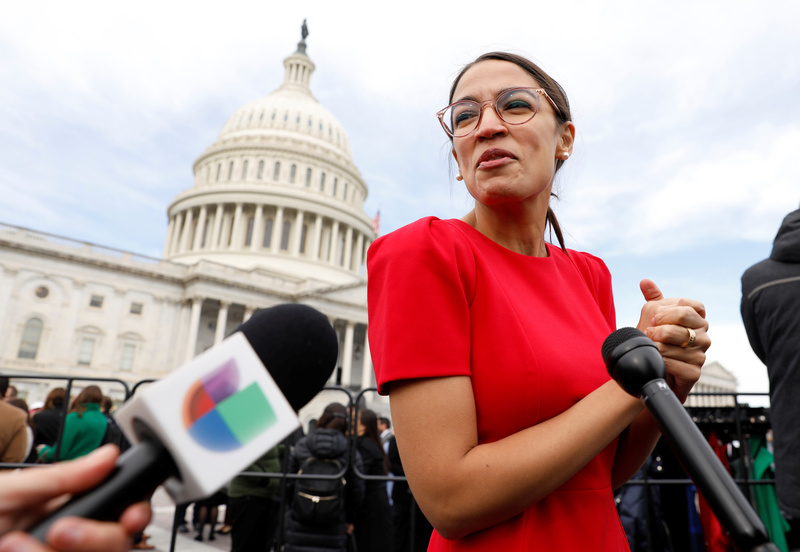 “A six page, non-binding resolution marketed as a ‘War Plan’ proves Congressman Cortez isn’t prepared and hasn’t done her homework,” Dan Kish, distinguished senior fellow at the Institute for Energy Research, told The Daily Caller News Foundation. Democratic Representative-elect Alexandria Ocasio-Cortez of New York talks with reporters as she arrives for a class photo with incoming newly elected members of the U.S. House of Representatives on Capitol Hill in Washington, U.S., November 14, 2018. REUTERS/Kevin Lamarque.